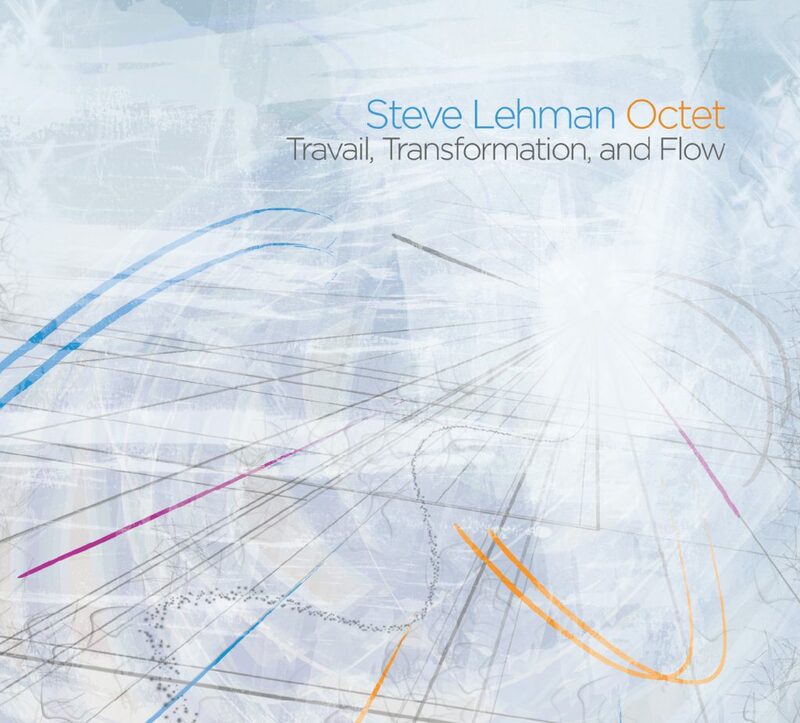 Pi Recordings is pleased to announce the release of Travail, Transformation, and Flow, an important new recording from the Steve Lehman Octet that marks the first fully-realized exploration of spectral harmony in the history of recorded jazz. Widely regarded as one of the most advanced musical minds of his generation, Lehman integrates delicate and highly nuanced spectral harmonies into meticulously crafted rhythmic settings. The result is an all-encompassing musical universe that advances a singular conception of rhythm, harmony, and improvisational form. In spectral music, the physics of sound informs almost every compositional decision. Attack, decay, and timbre provide the source material for orchestration and musical form. The most prominent overtones of a given sound of a clarinet or a church bell, for example create a rich framework for microtonal harmonies that, with the help of computer analysis, are organized according to frequency relationships, as opposed to the intervals of a musical scale. Individual overtones are then assigned to specific instruments in an ensemble, and blended together to create striking new harmonies. Lehman’s fascination with spectral music began at Wesleyan University in 2000, when he was first introduced to the work of spectral musics most renowned practitioners Tristan Murail and Gerard Grisey. After attending the U.S. premiere of Murail’s “Le Partage Des Eaux”, at Carnegie Hall in 2001, Lehman invited Murail to speak at Wesleyan and eventually began intensive studies with him at Columbia University in 2006. On Travail, Transformation, and Flow, Lehman draws extensively from his work with Murail and, remarkably, reimagines spectral harmony as a platform for improvisation. In “Echoes”, shimmering microtonal harmonies create a richly imagined setting for Lehman’s razor-sharp alto solo over spectral chord changes. Listen to how the trumpet and tenor reinforce the upper harmonics of the tuba, and fuse with the vibraphone to produce an almost electronic sheen. “Dub” and “No Neighborhood Rough Enough”, showcase Tyshawn Sorey’s astonishing drum work and juxtapose otherworldly sonorities with explosive improvisations. Other compositions, such as “Rudreshm”, and “Alloy”, provide a counterpoint to the more explicitly spectral works, and extend the ideas put forth on Lehman’s 2007 quintet recording, “On Meaning”. That recording, like this one, underscores Lehman’s profound assimilation of Jackie McLean’s most forward-looking Blue Note releases. In many ways, “Travail, Transformation, and Flow” remains deeply connected to the seminal works of that era, including McLean’s “One Step Beyond” and Grachan Moncur’s “Evolution”. Lehman’s tempo-stretching arrangement of “Living In The World Today”, from Wu-Tang Clan member, GZA/Genius‘ now legendary Liquid Swords, provides a bold conclusion to the album, and makes explicit, the connections between experimental hip-hop, glitch-based IDM (Intelligent Dance Music) and modern spectral music that permeate the entire recording. Lehman’s cutting-edge compositional vision is brought to life by his remarkable ensembles; in this case, a powerhouse octet, featuring an all-star assemblage of performer/improvisers who represent the absolute state-of-the-art on their respective instruments: Mark Shim on tenor saxophone, Drew Gress on bass, Tyshawn Sorey, on drums, Jonathan Finlayson on trumpet, Jose Davila on tuba, Tim Albright on trombone, and Chris Dingman on vibraphone. Lehman’s own playing bristles with a white-hot energy that is at once surgically precise and deeply visceral. Throughout Travail, Transformation, and Flow, one senses that he and his entire ensemble are engaged in a passionate dialogue with their musical surroundings. Microtonal playing slices through spectral chord changes; muscular solos negotiate changing speeds and shifting tempi with prodigious ease; and innovative instrumental voices move together to create a bold new sound-world and an electrifying new model for improvised music.